A new exciting album out Now ! The album is a collaboration between Pär Lindh, Steve Hackett, John Hackett and Italian composer/Organist Marco Lo Muscio. 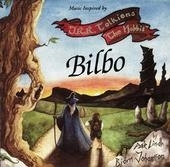 BILBO Was released on the fourth of May 1996. This is a full length CD which tells this classical epic story in a musical language. The musical mood is that of celtic and nordic folkmusic placed in a tonal landscape which spans from mideval ballads to progressive rock. Sometimes the music has been classically orchestrated in order to fully capture the dramatic moments of the book. 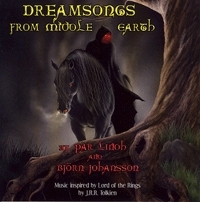 DREAMSONGS FROM MIDDLE EARTH was released in 2004. As the long awaited follower up to the classic BILBO. BJÖRN JOHANSSON & PÄR LINDH makes another journey deep into TOLKIENS MIDDLE EARTH. A lifetimes worth of compositions goes into this rich and complex album. 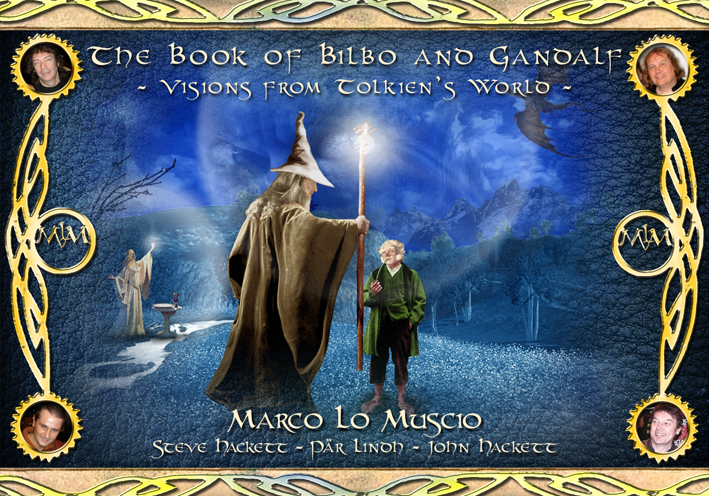 One long suite makes up the entire Album divided into ten Dream parts which all pictures a special scene from The Lord of the Rings . The cooperation with Björn began after the progressive rock festival in Uppsala 1993 which was the last festival Pär arranged as chairman for the Swedish Artrock Society. Björn attended and made possibly the best performance at the whole festival as he after the rain had stopped and the sun had broken through the clouds sat down and played some very beautiful classical guitar solos. Pär says ”later we started jamming and Björn who is a fantastic musician and very versitale soon became involved in the Gothic Impressions project on various instruments. At christmas time 1994 resting from the work with Gothic we were jamming and suddenly magical things started happening as all these beautiful, somewhat eerie, fairytale like tunes were being played comming from both of us. I said well I wrote this music to the lyrics to BILBO at age 13 or 14 and then Björn said well I wrote this piece at more or less the same age. The music fitted together like as if we had composed it together. It was pure music. So without saying much we both realised that this would become a CD sometime in the future”.